Adding effects on your video can help you gain more viewers. However, according to some video makers, especially those that have YouTube channels confirmed that putting text on a video helped them increase the number of their viewers and subscribers. This is because texts can be easy to recall. 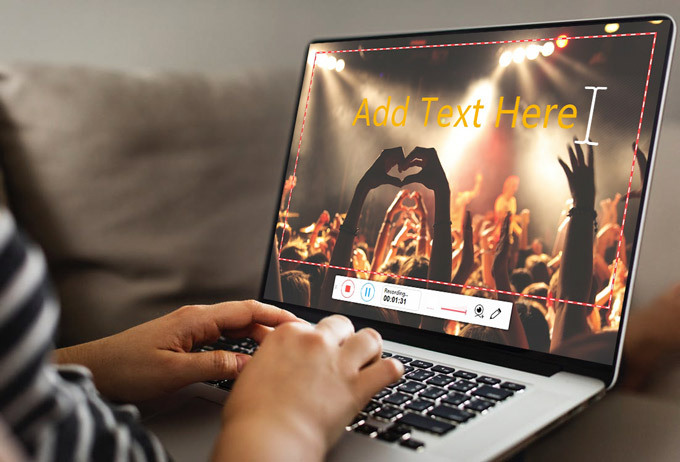 Aside from that, this can also help you to highlight the key functions, which enables you to convey the messages to your viewers more easily. Furthermore, in some rare cases, some viewers just don’t prefer to add a sound while watching advertisements especially if they are in public places; so with the help of text, they can easily understand what your brand or tutorial is all about. To help you put text on video, below are the best two tools that you can utilize. 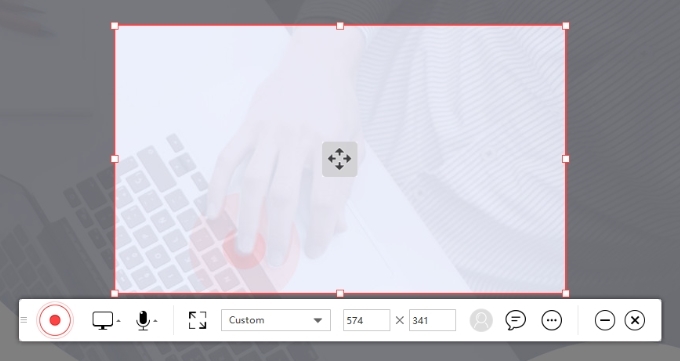 There’s nothing more convenient than having a ready-to-use tool especially if you are rushing to record your computer’s screen for your video tutorial. ShowMore is a web-based application which can help you record your PC’s screen easily. No need for you to do signing up, annoying ads, or installing a full version app just to come up with a video tutorial. All you need to have is an internet connection. 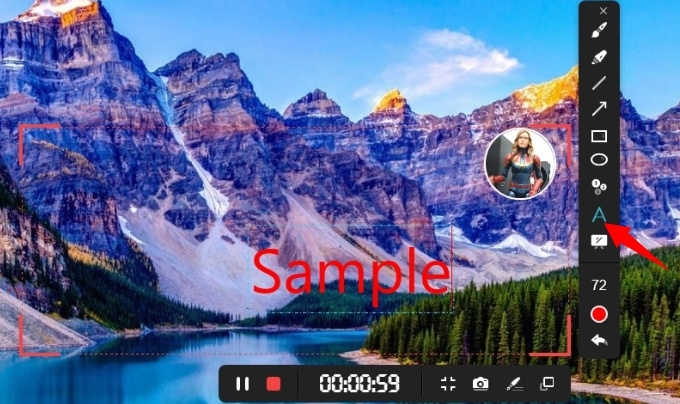 Furthermore, this tool has also a floating tool bar which can help you make some annotations while recording your video. You can add arrows, highlights and text using it. Here is how you can add text to video online using the ShowMore app. Visit ShowMore and simply click the “Start Recording” button. For first time users, you’ll need to download and install the ShowMore online launcher before starting with the videos. 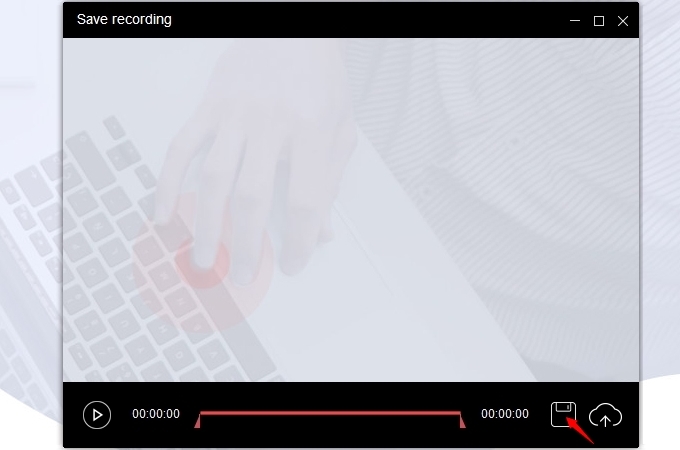 Once launched, drag the recording frame to the area you want to record. Note that you can also record in full screen mode if you want. Next, click the red button found in the lower part of the interface so you can start recording. A countdown will then appear, which serves as a notification that the recording is about to start. You will see a floating bar when the recording has started. 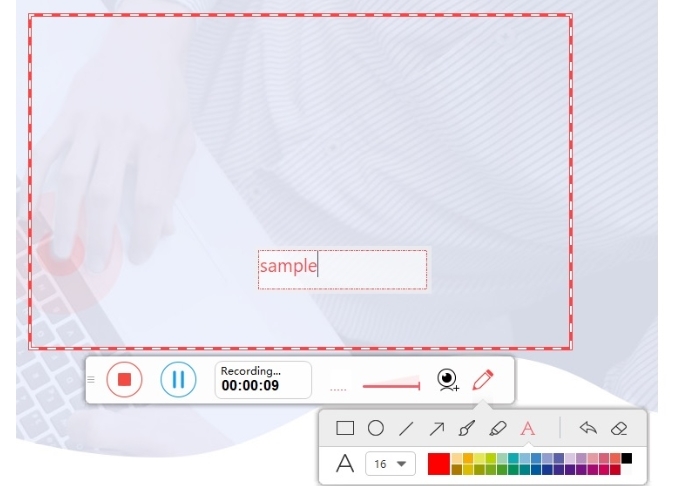 Here, you can insert text in video by clicking the Pencil icon and then the “A” icon so that you can further choose the font size and color that you want to use. For the final step, just simply click the stop button to finish the recording and the preview of the video will then appear. On the bottom right corner of the preview window, you can choose to save the video or just share it to iCloud or other video sharing sites. In addition, this tool can also help you record while using a web camera. 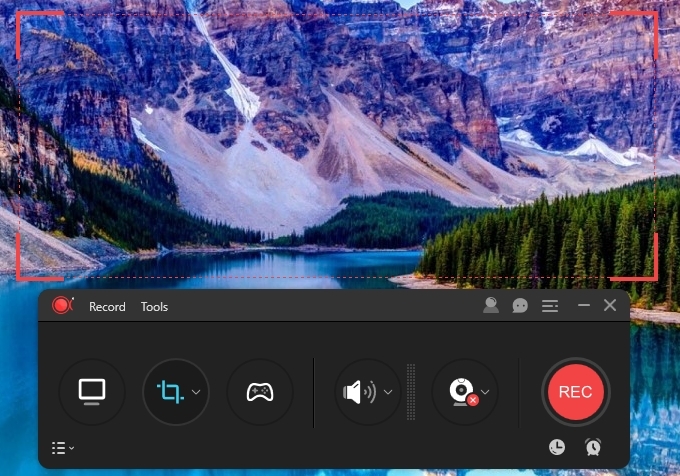 Just simply click the screen icon and then choose “Web Camera.” You can also record your audio using the computer’s system sound, microphone, or both. The good thing about this online app is that you can also add text to video on Mac Just open the default browser on your Mac and follow the same steps shown above is alright. Another tool that you can use is the ApowerREC app. This is a professional screen recording app which can help you in making your video demonstrations and tutorials. Its game mode function is so helpful to all gamers who wish to record their screen while playing. The game mode features automatically detects and records your PC once you launched a game. Aside from that, you can also add texts, arrows and other annotations using its floating tool bar as well. In this case, you can easily highlight your tutorial using the text function. Below are the steps on how to add text t o a video using the ApowerREC app. Download and install ApowerREC program from its official website or from the button down below. You can select full screen, customized recording area or simply drag in/out the recording region to change the size of it. Click the “Rec” button to start the recording. And a 3-second countdown will appear before the recording will start. Hit the paint brush icon, and then, click the text icon represented by letter “A” to insert text in your video. You can also choose the font color and size of the text. Once done, simply click the stop icon to end the recording. 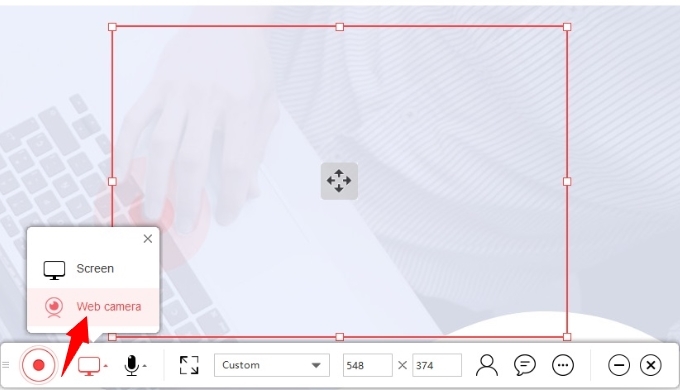 Aside from that, this tool can also let you zoom in while recording your video, which is really helpful especially when you want to emphasize certain points in the video. Furthermore, just like the first tool, you can also include the webcam during the recording. And in terms of audio recording, you may just choose to record from the microphone, system sound or both. That sums up the best tools that you can use to add text for video. You can now make a quality video for your product, video tutorials or video demonstrations. For other suggested tools, feel free to comment below. Rating: 4.3 / 5 (based on 29 ratings) Thanks for your rating! How to Save Fortnite Replays to PC? !